When White Star Market planted its roots in Mid City, its mission was to be more than just an incredible food hall. The market strives to foster community as well, and create a meeting place for neighbors & friends. 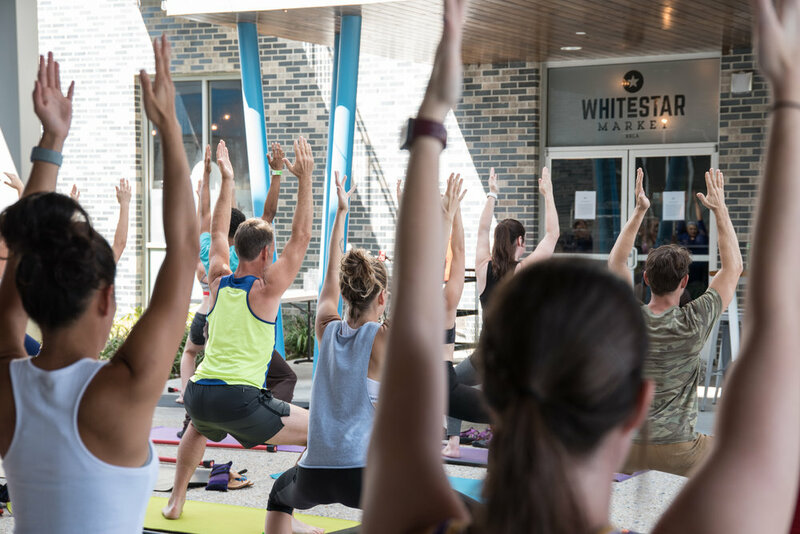 From our complimentary weekend yoga & barre sessions (pictured above), to monthly fun-runs through Capital Heights, people come together to share common interests, stay fit and most importantly have fun together. White Star Market is a gathering place for Mid City. 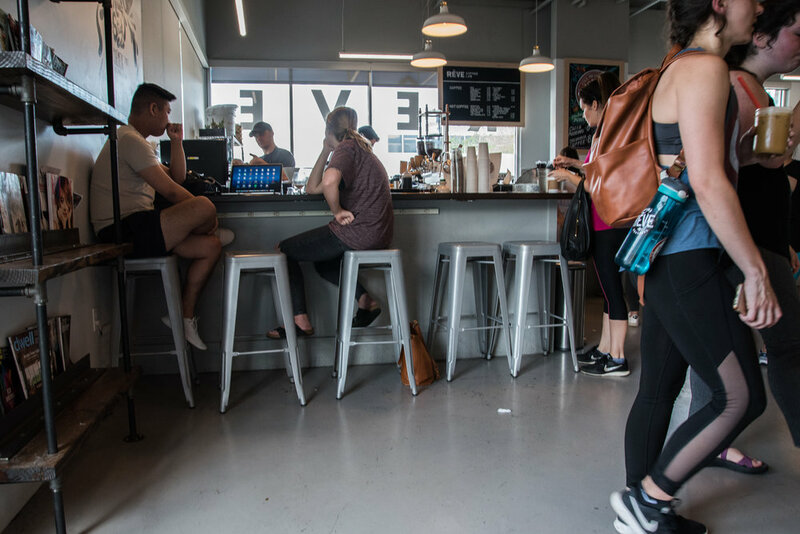 Every day, hundreds of residents start their day with coffee & breakfast, meet up with neighbors for lunch, grab drinks with friends or bring the family for a fun dinner out. White Star is what you want it to be. A lively food destination as well as your own quiet little coffee shop. White Star Market encourages guests to walk, run & bike to our food hall. With the redevelopment of Government Street into a walk & bike friendly corridor, guests now have a host of ways to get here. We love seeing families and strollers on the weekends for relaxing brunches & full bike racks .